This entry was posted on Saturday, July 17th, 2010 at 5:39 am and is filed under Sanding and Fiberglassing. You can follow any responses to this entry through the RSS 2.0 feed. You can leave a response, or trackback from your own site. Hello. I have been following you for some time and enjoyed your DW articles. I too have faced some of the same issues you have, that is why I have related to your musings. On the epoxy front, I have yet to start to really react from it, but I try pretty hard to keep my exposure down. On thing that I insist on when working with epoxy is airflow. I am NO expert, but it seems to work for me. I like to either do epoxy work outside, in a (at least) light breeze, or inside with powered ventilation. Inside my “boat shop”, I have two windows, on opposite diagonal sides of essentially a square building. I have a 24″ cheap fan mounted in one window, and can open the other (screened) to outside. When working with epoxy, I always have the fan blasting. It takes fumes, and most importantly dust away from me, and blows it out my back window. 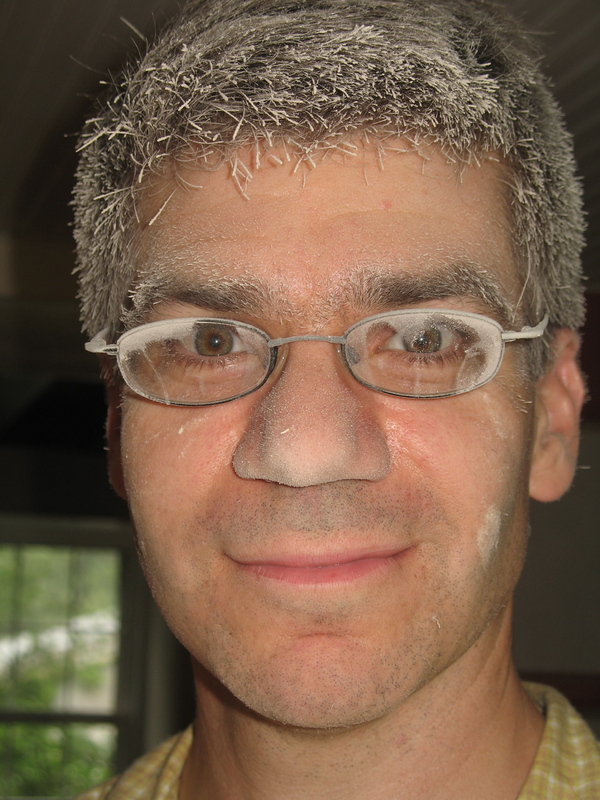 Still do all the other safety stuff, but remove most of the dust at the same time. I never finished either boat I was building. I still have one, and unfinished philsboat. I gave up and bought a homemade catamaran. Good luck on your boat. Thanks for your efforts at the blog! These are sensible precautions. I might have started too late with my efforts to ventilate the workshop. Even a short session with epoxy seems to cause some respiratory problems–even with a respirator. Fortunately, I’m nearly finished with sanding. I’m already thinking about my next boat, however, and wondering how I’ll manage. Since I don’t want to dress like an astronaut, I’m thinking about making use of woods that don’t need ‘glassing and/or building boats that are purposefully short lived. I just finished my first boat. I love the process. To me it is like art. I am now getting ready to build a small cruiser myself. I have decided on the Tread Lighly design. John Welsford from NZ has designed it, http://jwboatdesigns.co.nz/plans/treadlightly/index.htm. Anyway, I have found that when sanding epoxy, one can use a pneumatic sander. These can get wet and work great. They make a sander that “slides” back and forth, it is great for fairing. Your boat looks great , I can’t wait to see the finished product. I have long admired the Tread Lightly design. It seems so compact and thoughtful. I’d love to hear more about your boat.